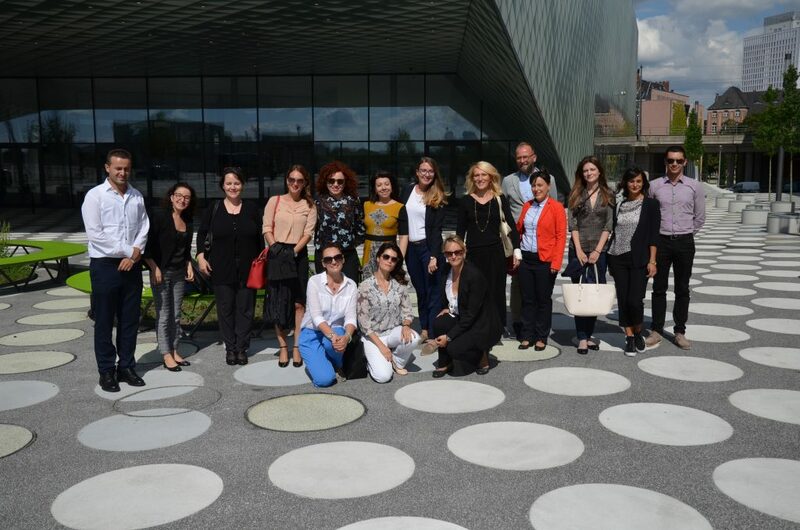 Seventeen fellows of the new generation of the European Fund for the Balkans’ Fellowship Programme for Government Officials from the Western Balkans (Fellowship Programme) gathered in Berlin and Potsdam at the Introduction Seminar from August 26 to September 3. The aim of the seminar was to prepare the participants for the programme in the European Union member countries’ institutions, which will be their hosts for the next three months. “Debating Europe: Have We Reached the Tipping Point?”, “Debating Balkans: New Challenges – New Opportunities”, “Good Governance in Public Administration? Governance Features from a German and Western Balkans Perspective”, “Performance Measurement and Management in Public Administration: Holy Grail or Achievable Quest?” and “Professional Communication & Presentation” are some of the sessions led by renowned lecturers such as Werner Weidenfeld (Director of the Center for Applied Policy Research of the University of Munich), Marko Kmezic and Vedran Dzihic (members of Balkans in Europe Policy Advisory Group), Paul Bernd Spahn (Professor Emeritus at Goethe University, Frankfurt am Main), Julia Fleischer (Professor of German Politics and Government at University of Potsdam), Thurid Hustedt (Guest Professor of Political Science, Freie Universität Berlin), Milena Lazarevic (Programme Director of the European Policy Centre, Belgrade) and Gerhard Hammerschmid (Professor of Public and Financial Management, at Hertie School of Governance). The Fellowship Programme for Government Officials from the Western Balkans is a one-year practice-oriented educational programme for government officials launched in 2008. This program offers them an opportunity to gain the knowledge and skills of European administrations, which will be subsequently transferred to their home institutions. In this way, the government officials will be better prepared to speed up the reforms of the Balkan administrations and make them more effective, and enable them to act as agents of change in the process of Europeanisation of the region.